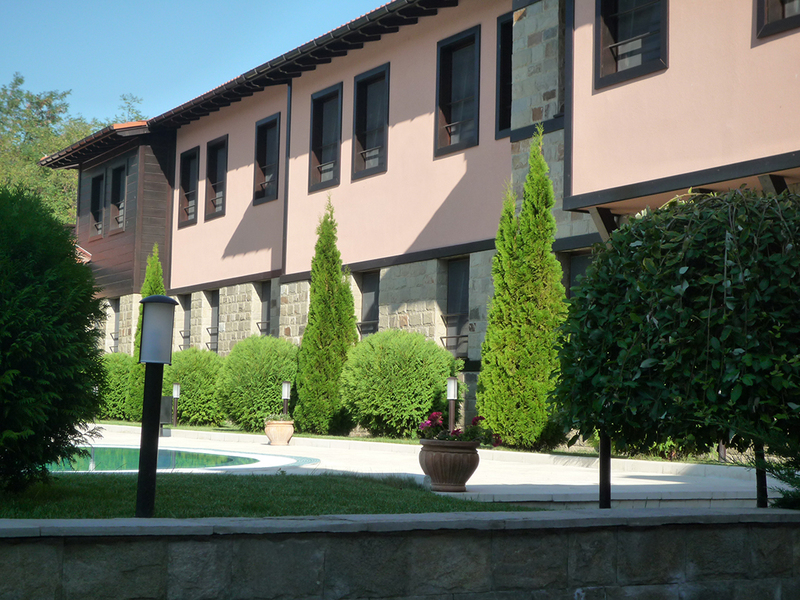 In the cool of the mountains, away from the bustle of the city, the peaceful and comfortable hotel Domaine Peshtera will welcome you. It is located in the Rhodopes, 20 km from the town of Pazardzhik, 40 km from the city of Plovdiv. 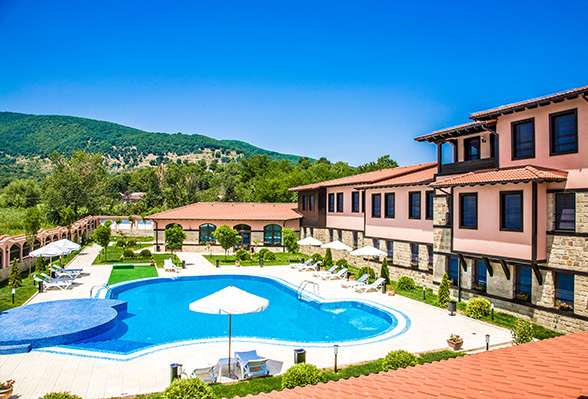 The luxuriously furnished 14 double rooms, 2 studios and one apartment, a cozy restaurant, a hall for seminars and corporate events, spa and garden with outdoor swimming pool are available for the guests. 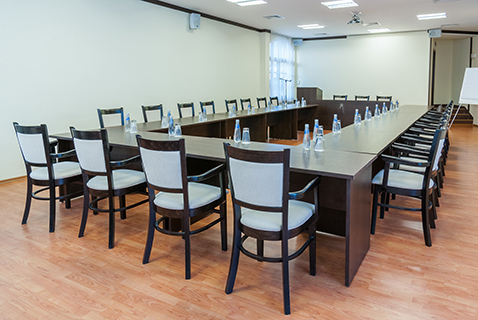 The hotel offers parking, internet throughout the complex, and a variety of services and entertainment. 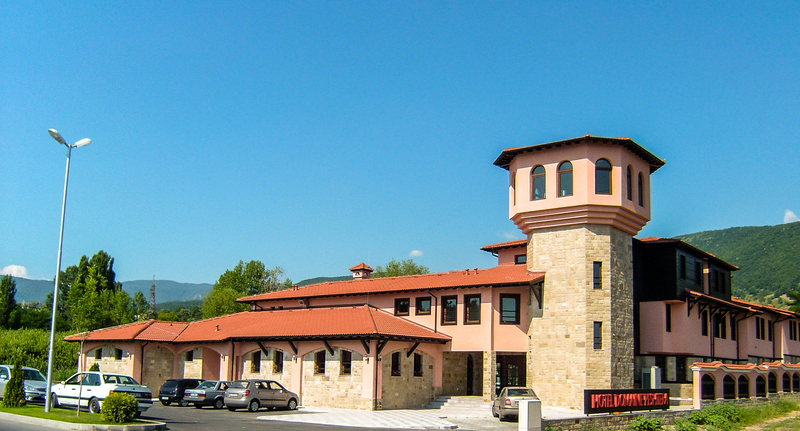 Domaine Peshtera is located at the entrance of the town of Peshtera. A town that has an old and interesting history which traces its origin from ancient times. Near Peshtera there are the picturesque historic towns of Batak and Bratsigovo, which together with the fortress Peristera, Sahat clock tower and the church Saint Dimitar attract many tourists. Those who like walks in the nature will enjoy the remarkable Fotinski waterfall and Snezhanka cave, which is part of the hundred national tourist sites. 70 seats, European and traditional kitchen garden with 40 seats. The conference hall has 60 seats, multimedia, flipchart, microphone, computer, bathroom. Outdoor pool with deck chairs, umbrellas and tables for 34 people. Spa has a Jacuzzi, sauna and steam bath. Massage center is located in the tower of the hotel.